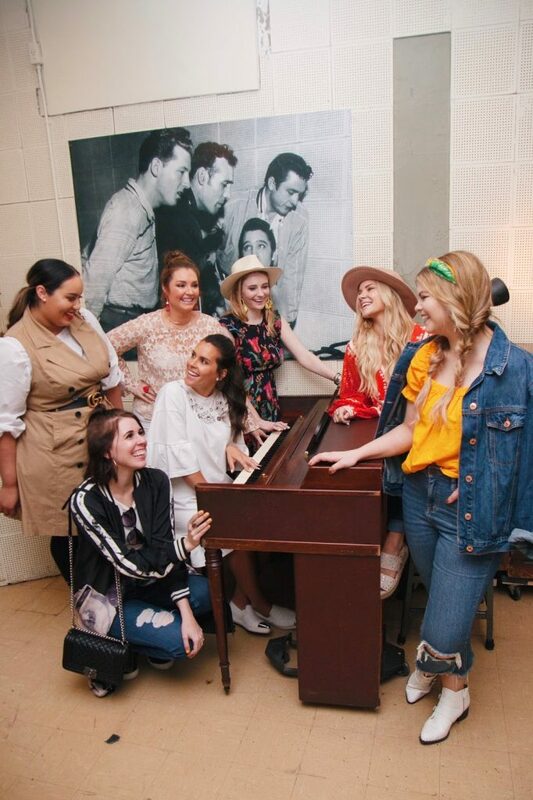 Over the weekend Memphis Fashion Week 2018 took place. 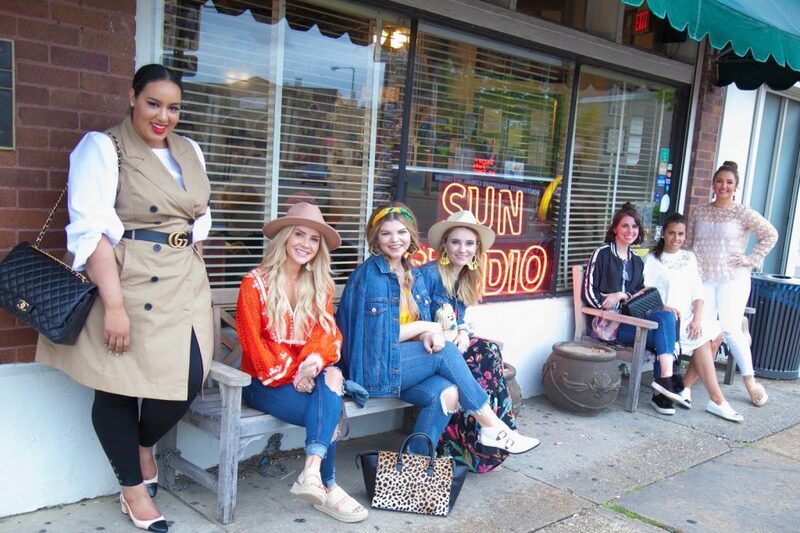 This year we did something a little different and we invited four influencers outside of Memphis to join in our the festivities. 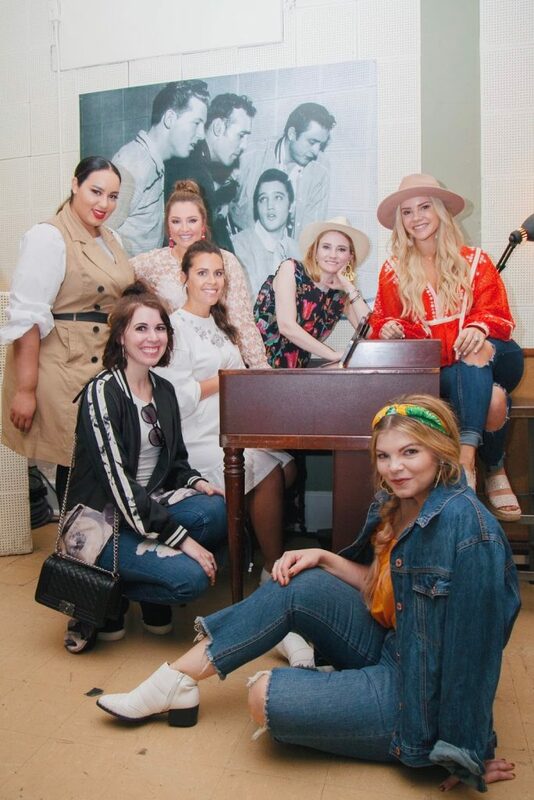 The Memphis Convention and Visitors Bureau got on board and hosted us to tour Sun Studios and the Rock ’n’ Soul Museum. 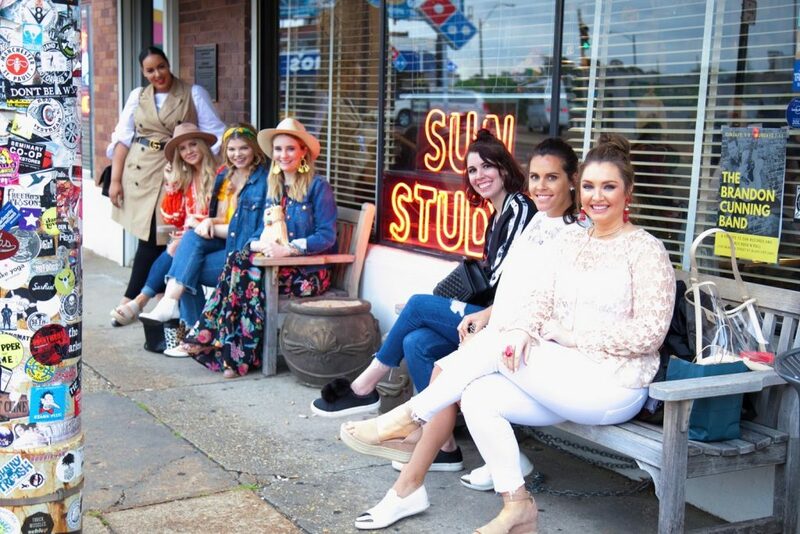 I am very excited to blog about Memphis Fashion Week, the shows, the events and my outfits but I’m going to start with the Sun Studio’s tour. Rochelle, Hunter, Lacey, Megan, Greta, myself and Collins. It was a lot of fun getting to tour the “birthplace of rock ’n’ roll”. 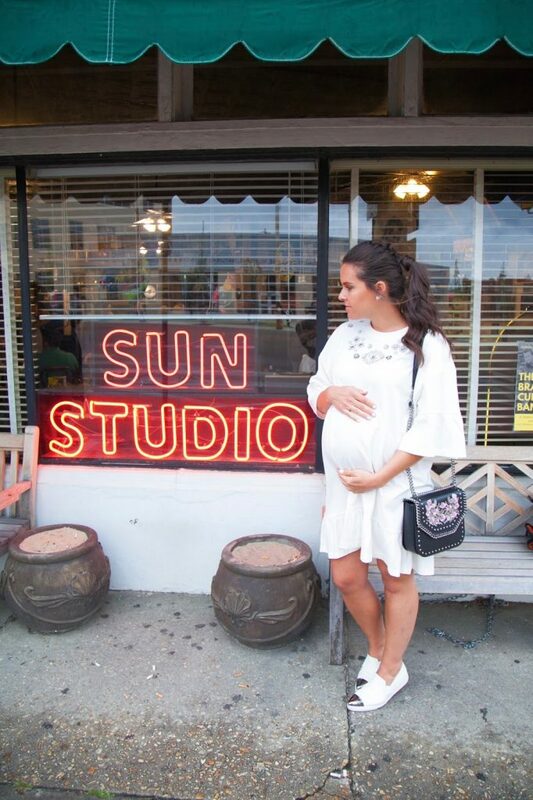 I’ve lived in Memphis for almost 8 years now and I didn’t even know about Sun Studios! Not sure how that was but I am happy to know about it now. I knew Memphis had a lot of history but now I’m aware of just how much history is really here. As interested as I was I know my dad would love to go on this tour. The whole time I kept thinking how my family would love this, so next time they are here this is going to be on our to-do list! I was very unsure about this dress. There is a lot of fabric to it and since it drapes over my belly it made me look huge under it since there is no shape to the dress. The dress is better in person because it give some movement and the jewels at the neckline help make the dress look less like a sheet. 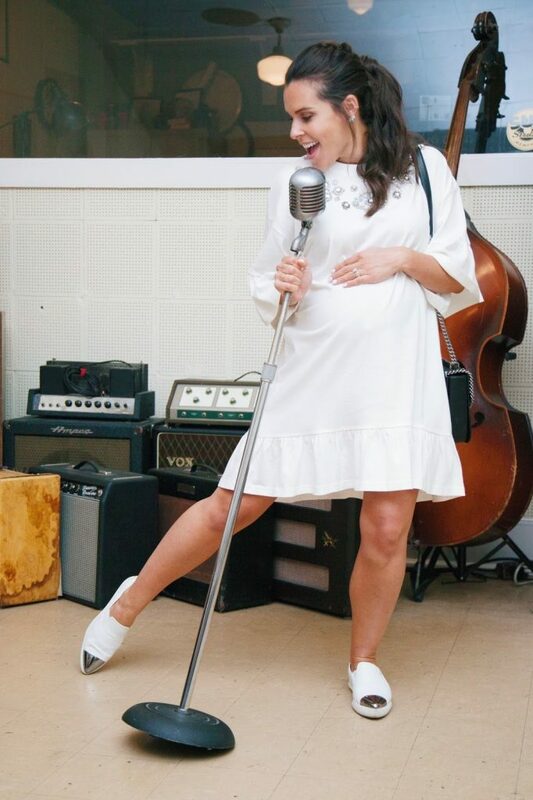 The day before our Sun Studio’s tour I was in heels more than half the day and I planned on wearing heels later this evening as well, sneakers were a must. We were doing a lot of walking around and the silver toe on my shoes were prefect with the silver accent in the jewels. How do you guys feel about this causal look? earrings | I designed them!